Mill Pond Cottage01263 715779work01603 870304fax Self-cateringThis is a lovely coastal cottage with plenty of room for all the family to unwind and relax both inside and out. There is a private patio to the rear of the house and a communal lawned garden at the front, which is shared with the other houses in this short terrace. Millpond Cottage is within easy walking distance of the beach and the village, which is a mix of traditional cottages and Edwardian grandeur by the sea. With plenty to do in the village itself, an award winning Blue Flag beach on the doorstep and easy access to The Broads and north Norfolk, this is a great location for a terrific Norfolk holiday. Mill Pond Cottage offers weekly bookings starting on Saturday. Mill Pond Cotta offers weekly bookings starting on Saturday. 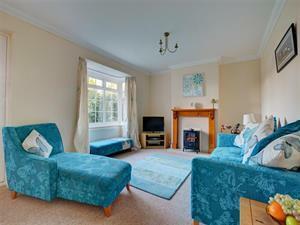 This is a lovely coastal cottage with plenty of room for all the family to unwind and relax both inside and out. There is a private patio to the rear of the house and a communal lawned garden at the front, which is shared with the other houses in this short terrace. Millpond Cottage is within easy walking distance of the beach and the village, which is a mix of traditional cottages and Edwardian grandeur by the sea. With plenty to do in the village itself, an award winning Blue Flag beach on the doorstep and easy access to The Broads and north Norfolk, this is a great location for a terrific Norfolk holiday.